Our Dogs always require special treatments and to know, how to cut dog nails? Be calm and follow this information. But what happens if one of those treatments considered as very “special and important” and needed very hygiene practice on that. Dogs Nail trimming called a pedicure and can be done very simply if you know how. As fancy As it may sound, and its not just a beauty treatment, but an action we should always perform regularly. Today we will share some important tips on dog nail trimming. How to cut the nails of your lovely pet. You can buy dog nails clipper from Amazon.com and get more about the product. How to restrain a dog to clip its nails? Taking care of the paws is a very essential part of any dog’s health. So let’s check out Do’s and Dont’s list for dog nail trimming, which will help turn out to be necessary to keep your dog healthy. How long should dog nails be? Basically, if a dog owner starts in the age of young. We should go very slowly, and take care to avoid the nerves and blood supply to the puppy’s nails. And very important, if the owner makes it possible and practical to trim his dog’s nails weekly or at least every other week. Have a very much less stressed puppy, and the stressless dog makes everything possible to their health safety. pet owners always a little intimidated by the thought of trimming their dog’s nails. How often should clip dog nails? What tools they should pick up? How do we can clip our dog’s nails without hurting them or making them bleed? There are several styles of tools in the market for dog nails cutting. Few areas Guillotine style nail clipper, pliers style nail clipper and a scissors-type nail clipper. 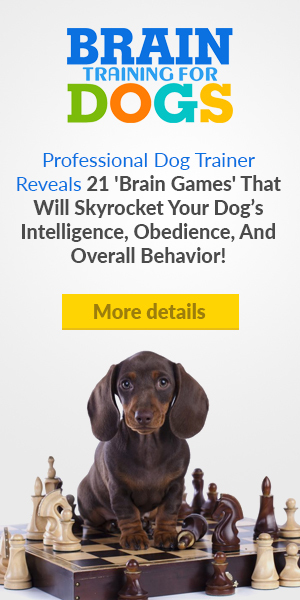 Which is very easiest to use, especially for small breeds and as well as for larger breeds. Dog Treats – Always be very kind and give a reward to your dog after done nails trimming. Which can lead more positive experience, specially to your dog and you. How to cut dog nails that are too long? Styptic Powder or Other Clotting Powder – Suppose you cut too short and there’s bleeding in the dog’s nail. So at the same time we have our Miracle Care quick Stop stypic powder, which can stops bleeding fastly and offers benzocaine. As well as we can have Baking soda and baking flour. Always Use only scissor type clippers. Whereas Guillotine style clippers can crush the toe of your pet and which can lead massive pain. Always remember this things, Never put the whole nail in a clipper, you are using. Use always small size clippers which would be better to control. Smooth out your nail trimmer afterwards with a rotating emeryboard. Trim only the insensitive nail around the top and sides of the quick. How to clip dog nails when dog is scared of? Fear of nail trims is a very common problem for every dog guardians face. If your dog is very scared to cut the nails. In this case the only way to trim a dog’s nails is under anesthesia. It is certainly not an option which will work in every week. But it is for those have given up the try and just allow the dog’s nails to remain long. How to trim dog nails that are overgrown? Overgrown nails can affect a dog’s posture and leads to joint problems and arthritis to your pet. Long nails are one of major problem with the dogs. Dog’s long nail can destroy furniture as well as other objects. Here are some ideas when dog is scared of. Some dogs nails can stay at a healthy length if they are exercised daily on a rougher surface such as concrete or pavement. Another idea is to create a filing board which comnined of a sheet of wood covered with sandpaper. Basically door mats Nail trim mats which is basically door mats with a rough surface. By the help of this, the dog effectively filing down his own nails as he paws the board. How to cut your dog’s nail? Dog may try to bite during his nail trim. So always put Dog Muzzles during trim the nails. Handle your dog’s paws oftenly, and make habitul to dog with the clippers frequently but without cutting. You should treat your dog with delicious things. Always use quality pair of nail clippers. how do you use a dog nail clipper? First hold your dog paw’s firmly but it should be very gentle. Now cut the nails in the 450 below side. This is where piller style clipper’s guide is going to come in handy. By the help of this guide, you can cut the nails very safely and quickly without any harm. How do you cut a dog’s nails that are black? Keep in your mind that trim only, until you see the white inside the nail with a small dot of black in the center of the nail. If it is not visible so you can cut a bit closer. But please be careful while cutting. To know all ther details and information about the nail clipper. Click on the link. Note:We should keep in mind that, this data isn’t intended to be a substitute for veterinary consideration. Always follow the instruction which given by our veterinarian. how do you cut a dog's nails that are black?